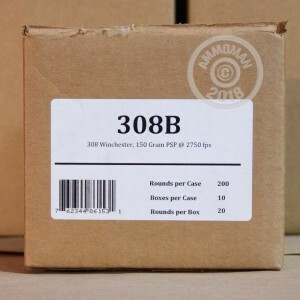 Designed to bring down deer and other game quickly and efficiently, these .308 Winchester cartridges fire a 150 grain soft point bullet ideal for hunting thanks to its fast-expanding, low-fragmentation design. 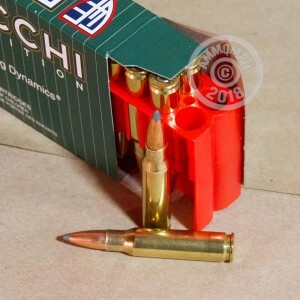 This ammunition produces a muzzle velocity of about 2,750 feet per second and provides excellent long-range accuracy at a reasonable cost. 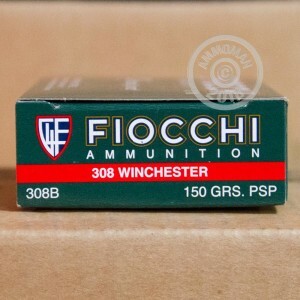 Like other Fiocchi ammo, it uses non-corrosive Boxer primers and brass cases. Each box contains 20 rounds.